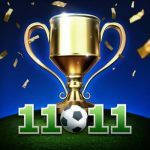 Meogames may not be a familiar name in the mobile gaming space, but the company has a potentially huge hit right now in Champion Eleven, a fairly new soccer management game that we’re sure has gained some popularity in recent weeks due to the ongoing World Cup. With Manchester City manager Pep Guardiola as the game’s official “ambassador”/endorser (and also giving you tips in the tutorial/early stages of the game), you’ll have a chance to manage a team with real-life players, and a variety of options for different formations and tactics. 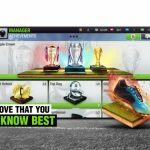 You can compete against AI or human managers alike, play in different game modes, and manage almost every aspect of your soccer/association football squad, from the team, its uniform/emblem, your players, and the various facilities that could help freshen up or improve those players you manage and/or add to your team. Is this a tough game to play? It’s going to seem easy at first, as you should be winning matches with no problem and steamrolling through the competition. But you may find the game quite overwhelming due to the plethora of features, even if not all of them are unlocked in the early goings of the game. Read on, and check out our Champion Eleven beginner’s guide – we’ve got ten tips for managers who are at player level 1 to 6, as we cover most, if not all of the fundamental things you need to learn in order to progress quickly as a first-time manager. 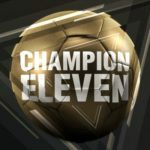 Like 11×11, which we had recently featured, Champion Eleven is more of a management game, which means your main concerns would be setting your lineup, choosing your formations and tactics, and improving your team through upgrades, player packs, and the transfer market. The main difference here is the fact that this is a FIFPro-licensed product – while 11×11 has randomly generated, fictional players, this game has real-life players, with a detailed list of stats that are meant to be as close as possible to their actual equivalents. But you don’t need to get overwhelmed by all those numbers – their overall rating is what you want to look at when choosing your lineup. For the most part, your opponents in this game are AI-controlled; starting out with a team of mostly real-life scrub players in the bottom tier league, you will be making your way up from league to league, defeating those AI opponents and improving your team as you go along. First, you’ll need to choose your lineup, then watch the game play out and make changes on the fly or during halftime. You won’t have actual control over the players, but you can adjust tactics as the game continues, and make substitutions as well; you can also due this during halftime, but you’ll only be given 30 seconds to do so! After completing a game, you’ll have a chance to collect your rewards, which may include, but not be limited to cash (the common currency), tokens (the premium currency), and player packs. For the most part, you’ll use cash to upgrade buildings (accessible via the Club menu), and tokens to rush the upgrade of buildings (not recommended) or acquire players via scouting. Players acquired via packs are instantly included in your lineup, and especially when you’re dealing with common players (raring of 65 to 69 or lower), there’s a chance you may end up with a duplicate player – we’ll get to that in a subsequent guide, so do watch out for that! Also, players earn experience after a match, which means their base stats will improve once they get the right amount of experience and level up accordingly. Although overall ratings in Champion Eleven are the first thing you will need to take into account when choosing your lineup before the start of a game, you’ll also need to keep a few other things in mind. First of all, your players’ ratings may go down as you play more matches, so as to reflect their fatigue from game to game. Secondly, their morale, which can be found on the lower left corner of a player’s picture in the lineup screen, may also affect their play if they’re currently demoralized. It’s a bit of a vicious cycle when it comes to morale – players tend to be affected negatively if you bench them, and if you keep forcing them to ride the bench, they’ll get even more upset. Keep these things in mind before making your lineup choices, and if you need to speed things up when choosing a lineup, hit the Auto button on the left side of the lineup screen, and the game will recommend the best possible lineup for you. You may need to fine-tune things a bit, but the good thing is that there is no time limit for setting your lineup prior to a match. As a bonus tip, make sure to tap on the right arrow button on the right side of the lineup screen, as that will allow you to move players from your inactive lineup to your active one. This is important, because newly acquired players will always go to the inactive list by default. It’s important as well that you utilize your bench in the second half of a game, especially if your team has a comfortable lead. In some games, you may also want to start players whom you wouldn’t normally be starting. The rationale behind this is because players who get fatigued from playing too much will start losing statistical points, thus affecting their overall rating. Ultimately, you’ll need a deep lineup so you can have enough players to shuffle in and out of the starting eleven, but we wouldn’t recommend making it too deep either. Having too deep a lineup could result in a number of players getting demoralized because they don’t get to start regularly – it’s just how it is in real life, where many a player on a talented team will want to start, but coaches or managers wouldn’t be able to start everybody all the time. You don’t want to have too many demoralized players on your team, so don’t go overboard with the talent! The Formation screen allows you to choose your formation and starting lineup even before you actually agree to play a game. Unlike in most games, which start you out with a 4-4-2 formation, Champion Eleven will start you out with a 4-2-4, which, as it often appears, means two forwards, two attacking midfielders, two midfielders, and four defenders. But you can always choose another formation, depending on your preferred play style. Like playing defensive? Tap the Formation button and go with any one of the three 5-4-1 formations available. Want another attacking formation? There are several 4-3-3 and 3-4-3 setups to choose from. It’s all up to you, so feel free to get creative and experiment with new formations, or stick with the tried and tested, also depending on how you like to play the game! As a bonus tip, the Items button allows you to use your Energy and Morale boosters, as well as your medical packs, which help your players recover energy and morale (of course) and heal their injuries respectively. We’ll discuss these soon enough, so don’t worry if you’re not sure yet about how to use these special items! In the main menu, you’ll see a series of buttons on the extreme right side, with the top button being the one with the ribbon icon – tap on that and you’ll be taken to the Honour screen, which includes a variety of achievements to complete, all of which will reward you mainly with cash and tokens. For example, under the League tab, you will have three separate categories – Leaguer, League Champion, and League Golden Boot. For the latter, scoring 100 league goals will get you 150,000 in cash, scoring 500 will get you 400,000, while scoring 2,500 is worth a reward of 200 tokens. That’s a lot of gameplay for a comparatively small amount of tokens, but the good thing here is that there is literally a plethora of different Honours to complete in this game – there are main categories for League, Cup, Develop, Transfer, Friends, Market, and Ranking, and aside from the visible rewards, you’ll also win special milestone rewards for collecting a certain number of points per category; each Honour has a corresponding amount of points, and you’ll find that next to the type of main reward you will receive. Below the Honour button is a clipboard icon, which allows you to access the daily tasks. 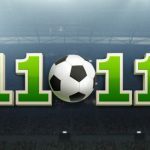 These tasks run the gamut and could require you to do a variety of different things, depending on what day you’re trying to complete them, but these may, for example, include winning a certain number of games, or selling a player on the transfer market. Completing these tasks will normally reward you with cash and experience points, the latter of which is used to help you level up. Increasing your player level will allow you to unlock new features, such as Ranking Matches against other human opponents (level 7), and the full transfer market (level 12), and could also earn you some rarer, better players! The Event button, which is found right below the Tasks button, is marked by a gift icon, and that’s because this is where you can redeem your rewards for daily logins. You may get medical packs, energy boosters, and player packs as your daily rewards, with the Day 7 reward being a National player pack, which includes one guaranteed player with an overall rating of 85 to 86 – that’s quite the catch, considering the ratings of the players on your original team! You can also purchase special packages with real money – for example, the Starter Pack 1 costs just a dollar or its equivalent in local currency, and comes with a gold (National) player pack with Diego Costa, and 200 tokens. There are also Limited Packs that come with various top-tier players, or combinations of National rarity players and boosters, as well as a Monthly Card, which costs $5 USD and comes with an instant reward of 250 tokens, with up to 100 tokens as a daily reward for 30 days! We’d say these packages are great purchases, provided you’ve got the cash to spend, and are willing to pay a bit of real money to improve your team. Need more reinforcements for your team? Tap on the yellow button on the right side of the main menu, the one with a player’s face on it – that will take you to the Scouts menu, where you can hire a Primary, Intermediate, or Senior Scout to find someone who could join your team. Primary Scouts mainly bring back common players, and you’ll have five chances for a free search before getting charged the normal rate of $24,000 per search. You’ll have a 70 to 80 percent chance of getting someone with a 70-74 overall rating, and a substantially smaller chance of getting 75-79 or 65-69 players. Intermediate Scouts can be used once for free, before costing 200 tokens per search, and your best bet here is someone with a rating of 75-79; you’ll have about a 5 to 7 percent chance each of getting 80-84 or 85-89 players. Lastly, you don’t have an option to do a free search for Senior Scouts; you’ll be charged 600 per search, and you’ll have the best offs of getting an 80-84 player. You’ll have about a 15 percent chance of getting an 85-89, and as far as 90-94 players go, you’ll have only a 1 percent shot at those elite superstars. Should you spend your tokens on one of these searches? Well, we’d say it’s a good choice only if you’re rich in premium currency, probably with at least 800 to 1,000 tokens so you’ll still have a lot left over after a Senior Scout search. The Club menu is one that needs to be explored in great depth, but since we’re saving that for our next guide, we’re going to give you one simple tip that you should follow – do not, and we repeat do not, spend your tokens on rushing upgrades! Sure, you can probably spend a handful of tokens if you’re loaded on them, but otherwise, you’re better off saving them for more important purchases, such as scouting. It may be tempting, but it’s best to avoid that temptation and let the upgrades play out naturally. There’s no need to spend to make those upgrades go by faster. Champion Eleven gives you the option to watch games and manage in 2D or 3D, and as we’ve seen, 2D plays out slightly faster than 3D does. It also gives you a clear view of each player’s position, which you wouldn’t be able to view when watching/managing in 3D and all players are showing in detailed, three-dimensional form. We find it a matter of preference as to whether 2D or 3D is better to use, but there appears to be a right time to watch/manage in 1x or 2x. Playing in 1x, or in normal speed, might seem a bit slow for a lot of players, so if you happen to be in that boat, you can switch to 2x, or double speed. However, it’s best to switch back to 1x in the second half, or whenever you need to make substitutions. The game does not pause while you’re substituting players or changing tactics, so you might not have enough time to replace a tired player with some fresh legs!